Prior to Portuguese, Diu was under Muslim rule. In 1297, Alauddin Khilji defeated the Rajputs and made Diu his territory. After that Diu was under Muslim rule for about one and a half century. Sultan Bahadur Shah of Gujarat annexed Diu in 1530AD. He built many structures for the security of Diu which were knocked down by Portuguese to make their structures. The Portuguese tried to annex Diu to their kingdom many times but they failed. In 1531, they captured Shiyal Bet island under Nuno da Cunha and started bombing Diu but were not able to occupy it. In 1534, the Portuguese signed a Treaty of Bassein and through which the occupied Bassein now known as Vasai. Bahadur Shah had a threat from Mughal Emperor Humayun so he made a peace treaty with Portuguese. According to this treaty, they got permission to build a fort in Diu. Later, Bahadur Shah had no trust on Portuguese and he attacked them but was killed in the war. His body was thrown into the sea. Mahmud Shah III, nephew of Bahadur Shah, succeeded him. Diu was under Portuguese since 1961 and after that Indian govt. forced them to leave the place through Operation Vijay. Turks attacked Diu in 1538 and besieged the fort. The force included 20,000 men and 66 ships. They bombarded the fort many times. When they were about to win, they lifted up the siege. The reason for uplifting the siege is not known but from that time onwards, Turks never attacked India. 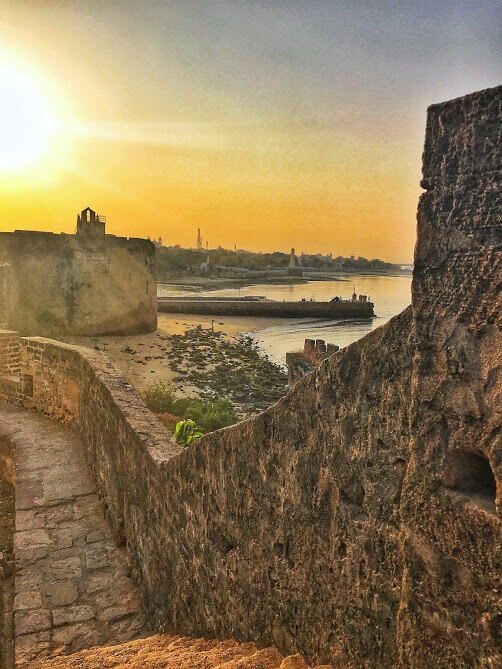 Diu Fort is also known as Portuguese Fort. In Portugal it is called Praça de Diu. Gujarat is in the east while Arabian Sea is in the west. Kolak and Kalai rivers are on north and south respectively. 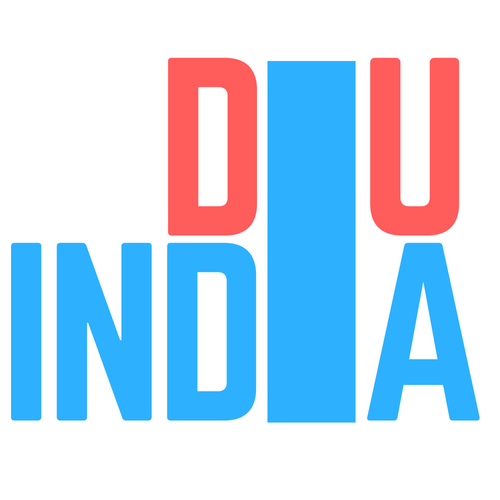 Diu touches the borders of Valsad, Daman, and Junagarh. One of the walls of this large fort touches the coastline. The fort is surrounded by sea water on three sides. The guns were put on the bastions built on the inner side of the wall. There is a double moat between outer and inner walls and is made up of sandstone rocks. There are three gates in the fort out of which the entry gate includes five windows. Opposite to the fort, Panikotha fort is visible. 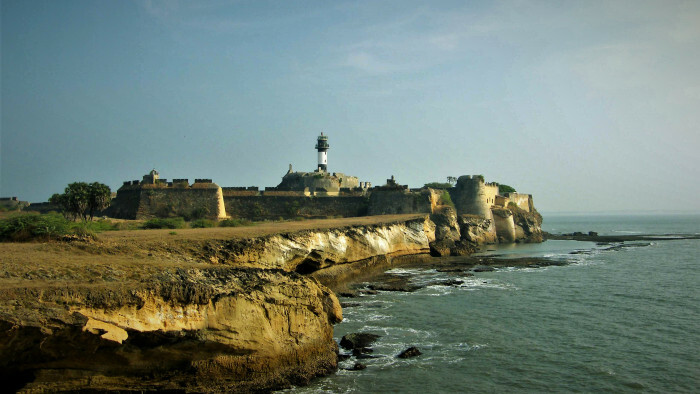 Diu fort also consists of cannons and iron shells used during the Portuguese period. There is a bastion at the entrance gate named St. George. The fort has a large light house at its end. Tourists can view many monuments inside the fort. Some of them are discussed here. Diu Fort Wiki − Wikipedia Reference for Diu Fort.